There are so many wonderful things to do with horses, but for non-profits it is important that we “stay in our lane”. I thought it would be helpful to lay it all out in black and white as far as what Crossroads does and does not do. 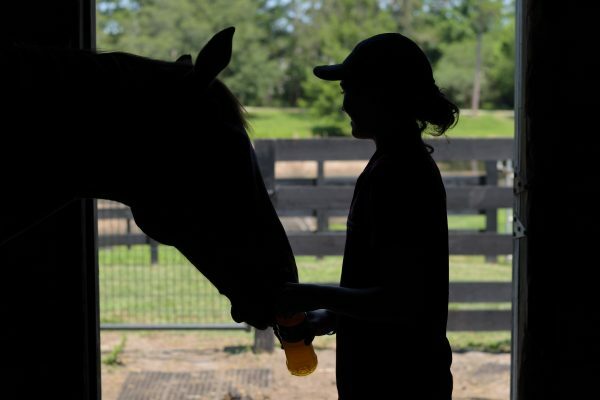 Equine Assisted Mental Health– also known as Equine Assisted Psychotherapy (EAP). We provide our sessions to Veterans who suffer from PTSD and their families as well as youth and women who have suffered trauma abuse and neglect. All sessions are conducted by our Licensed Mental Health Professionals and Certified Equine Specialists. All sessions take place on the ground, there is no riding involved. Optimal results achieved in much shorter time frame than traditional therapy. Equine Assisted Learning- these sessions focus on building life skills and are most commonly conducted with youth or business professionals to focus on team work. Certified Equine Specialists utilize the horses to help clients learn about building confidence, communication, trust, empathy boundaries and more. All sessions take place on the ground, there is no riding involved. Ladies Horsemanship Workshops (Fundraiser)- An opportunity for women to enjoy time on the farm and learn about horses and horsemanship. Therapuetic Riding- We do not conduct therapeutic riding lessons for individuals with disabilities. While this is incredibly meaningful work, we decided to fill in the gap for mental health. Why duplicate a service that many other organizations are already doing in Central Florida? Birthday Parties- Due to the therapeutic nature of our mental health work, we do not conduct birthday parties/pony rides/parties. At Crossroads Corral, it is very important for us to stay true to our cause and our mission. I hope that if you had any questions regarding our services that you now have a clear picture of exactly what we do and how we serve! Lindsay Brim is the Co-Founder and Executive Director of Crossroads Corral. She is a proud wife, horse enthusiast, and mother of twins that is dedicated to her family, her friends, and her cause. Our mission is to promote personal growth, hope and healing through horses. Want to stay connected with Crossroads Corral? Be the first to know about our upcoming events and more.